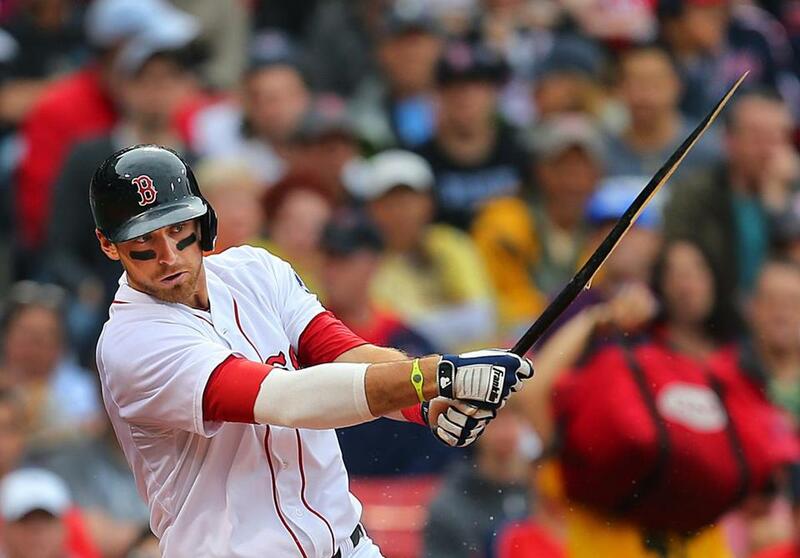 Red Sox third baseman Will Middlebrooks is hitting .192 this season. The Red Sox have optioned third baseman Will Middlebrooks to Triple A Pawtucket and purchased the contract of infielder Brandon Snyder. Middlebrooks is hitting .192 this season with a .617 OPS and lost his position to Jose Iglesias after going on the disabled list with a lower back strain in May. He had not played in five of the last six games. The 24-year-old was expected to be a middle-of-the-order hitter for the Sox this season but never got on track. Sitting on the bench in the major leagues was restricting his development. The Sox hope that Middlebrooks can get on track playing every day in the minors. Middlebrooks also has a good relationship with Pawtucket manager Gary DiSarcina, who managed him in rookie ball in 2008. Synder, 26, was the 13th overall pick of the 2005 amateur draft by Baltimore but never developed into a major league regular. He has played 56 games with the Orioles and Rangers in his career, hitting .276. Snyder hit .277 with a .755 OPS in 40 games for Texas last season. The Rangers released him out of spring training and Snyder was signed by the Red Sox. He has hit a modest .267/.338/.470 over 63 games with 10 home runs and 37 RBIs. He has played 40 games at first base and 23 at third. Snyder has started one game at third base in the majors. Most of his experience has come at first base with three starts in right field and one in left. Snyder has hit .212 in Pawtucket this month with a .572 OPS. He has struck out 20 times in his last 66 at-bats. In time, the best option for the Red Sox bench could be Brock Holt, a utility infielder with some speed. Holt has not played for Pawtucket since June 16 because of an oblique injury. He is hitting .271.